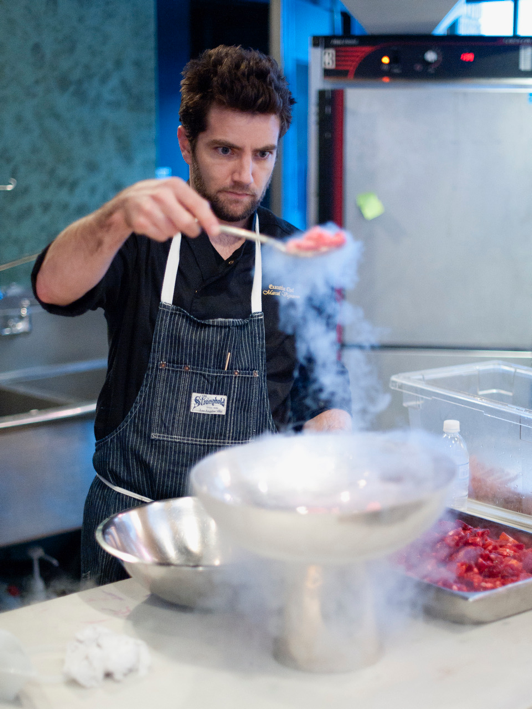 Each year, we host some of the country’s most talented chefs in our kitchen during the Sundance Film Festival. Each celebrity chef prepares the menu of their choosing with our staff in a supporting role. It is always amazing to see these chef’s in action. A couple of years ago, we had Chef Marcel Vigneron, a fabulous young and very talented chef from Los Angeles in our kitchen. What a treat!! In the few years since we last saw Marcel, he has opened one of Los Angeles’ hottest new restaurants, Wolf. Wolf is a unique, rustic and intimate dining experience that specializes in combining cuisine and unique flavors from various cultures. I just received an email from him and, needless to say, Chef Marcel has a hit on his hands. I can’t wait to personally visit his newest restaurant. If you get there first, please let me know just how much you loved the experience.